“People come here and tell us what our problems are and how to solve them. No one has come to ask us what our pressing problems are” - A response we got from Shanti* when we asked her if anyone has come to ask her about the problems she and her community faced. 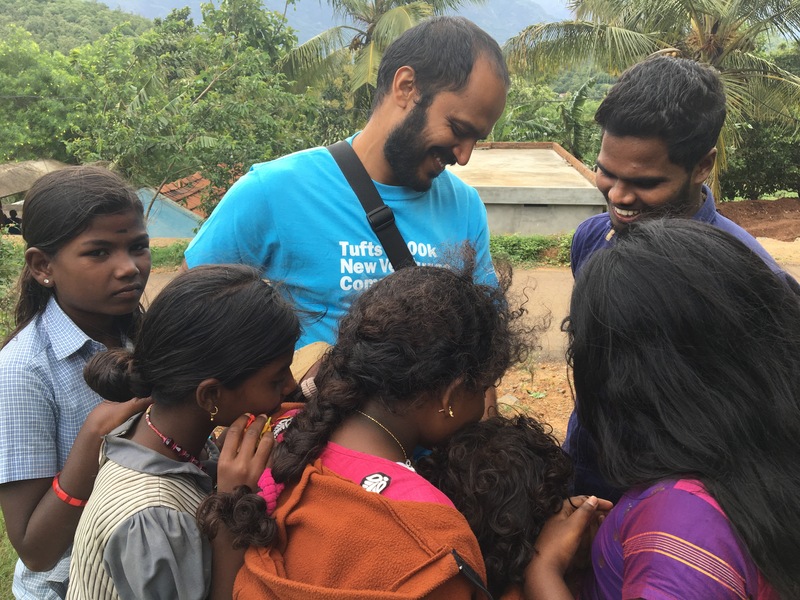 We, three students from The Fletcher School, Tufts University, came to Attappady area in Southern India state of Kerala to work on a specific mission during this summer, bringing unheard voices into light and providing people with a platform where they can identify, debate, and discuss their own problems and arrive at probable best solutions suited to their situation. The idea behind this venture is to collect the voices of people, collate them into stories that pit different views about the same issues together, and encourage community-based dialogue. Based on our earlier field trip to the area in 2015 Summer, we also identified that the best way to reach out to people in Attappady would be through local cable television network due to its penetration and reach. We also realized that villagers in Attappady were accustomed to watching cable TV more than any other medium, making it our first choice. With this mission in mind, we started out by meeting the top brass in both official and political circles. Primary objective being two-fold – apprising them about the venture and seeking their support, and to understand their perspective about the issues that people in the area face. As a part of this process, we also reached out to academics and experts working in the area. During these consultations each of them gave us their impression of what the main issues in Attappady were. One thing that stood out in this process was the passion and enthusiasm that they showed in both explaining us their perspective and prioritizing the problems that they thought needs immediate addressing. After a week of consultations, I thought that I now had a general overview of the area and enough information to walk into the field confidently. Any good journalist should do his/her background work before going to the field, right? Armed with this information, we had a team meeting and decided that our initial focus should be on two issues – water scarcity, and problems with government-issued ration supplies. Next 10 days were devoted to filed visits where we asked villagers a set of three standard, but open-ended questions. What problems do they face, how did they tackle them, and what do they think should be done to resolve those problems. As supplementary questions, I also asked if they had any problem with the issues of water scarcity and ration supply. There was, however, one major stumbling block in this endeavor - language. To overcome this, we recruited two local, tribal students who knew English and the languages that these villagers spoke. During our visit to the villages we faced another issue, initial reluctance/hostility. Most tribal elders were hostile as they thought nothing would come out of our venture, on the other hand, younger generation was reluctant to come before camera and speak. It became the responsibility of two students we roped into the venture to convince inhabitants to come forward and express their problems and probable solutions on camera. Once we had enough videos, we got them translated into English and created a series of spreadsheets to organize the inputs we received during the field visits, and the results were surprising. Despite the supplementary questions that were designed to get an answer from the people about the issues we identified as most pressing, people highlighted different problems. Inhabitants of the tribal hamlets in Attappady were more concerned about the wildlife threat to their crops and lack of access to health services than with water scarcity or government ration supply. Everyone we spoke to expressed their anguish that they were unable to take up agriculture, not because of lack of water or land, but because of the threat posed by elephants and wild boars. While some expressed their desire to farm, other were sad that since they could not take up agriculture, they were now forced to work as daily laborers. When asked if they could take up farming with water scarcity being an issue, some even responded that if wildlife threat to their crops is addressed, they were willing to take up agriculture just during monsoon season. One look at the spreadsheet, and I realized what Shanti meant, and what our focus for the first episode would be. Stay tuned for more updates from Attapadi soon.